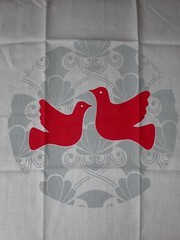 Thought I’d share this beautiful tea towel from Mozi designs in Melbourne. Their stuff is lovely, go and have a look but unfortunately they don’t do mail order. Not sure if I’ll use it, it’s too pretty.